Pretty much every American probably knows of this book. I don't need to go into the background about the controversies that surrounded its publication. You can easily look it up on the internet. But it's significant that there is plenty of controversy regarding this book and I'll address them in this review. Overall, it's an interesting and significant account, but it is far from successful in several ways. For one, it's not written that well. I don't expect a Navy SEAL to be Hemingway, but I think Kevin Maurer, the writer that co-wrote the thing, probably could have done better. It is an easy and fast read. Those are good things. But the observations therein are somewhat superficial and simplistic. I appreciated Owen's voice overall, being frank, matter-of-fact and rather humble. But I think most of the failings regarding the narrative fall on the professional writer Maurer, who really should have had a handle on where the book was going. Again, I don't expect artistry, but I think they could have done better. Plus, the copy-editing is pretty sloppy. Another part of the book that I didn't get was its purpose. Is it "The Firsthand Account of the Mission that Killed Osama Bin Laden" like the cover says? 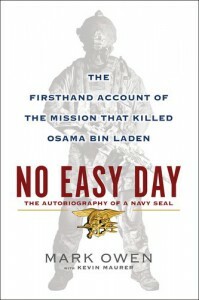 Or is it "The Autobiography of a Navy SEAL," like the cover also says? If it is the former then the first half of the book could have been abbreviated since it had nothing to do with the famous mission. If it was the latter then the first half should have been expanded upon. It doesn't succeed as an autobiography, but the second half dealing with the mission is pretty good and clearly written. Overall, it's an interesting account of the mission and significant in that it comes from the viewpoint of someone actually involved in the operation. While not a great literary achievement, it's worth reading for those who have military/political interests. It comes with baggage, however. Owen makes clear that he and his buddies are no big fans of President Obama. That doesn't matter to me in itself. Everyone has a right to his or her opinion and since Owen is no longer serving in the Navy he can publicly say whatever he pleases. I think it is general knowledge that in the armed services we are generally cynical about anyone above our own pay grade. That's just the way it is. Still, it seemed somewhat irrelevant, inappropriate and unprofessional for Owen to pepper the narrative with his criticism of the President. Again, I won't ding anyone for their opinions, but the timing of the publication of the book and his comments regarding the President makes it seem like there is a political motivation involved. So you are cynical about Obama taking credit about the op? Tough. Any President would. Owen remarks that the significance of this mission is beyond politics and I fully agree. So why, then, did you even mention politics at all? Like I say, everyone is entitled to one's opinion, but it seems like this is a case of an author publishing too soon and pushing past filters that should have caught irrelevant stuff. Also, despite Owen's proclamations that he himself is not special and his plea for readers to contribute to the various veterans charities, I can't help but feel that there is a large bit of self-interest involved. If "Mark Owen" (a pseudonym now compromised) was really concerned about secrecy and protecting the identities of himself and his teammates he wouldn't have written this book. Maybe the American people wouldn't have known the whole story right away, but so what? If the super-secret DEVGRU can't keep their mouths shut, then who can? I find this somewhat disturbing. But, you know, there's probably a big fat paycheck for the book involved. 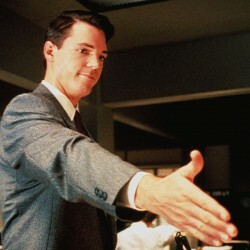 Plus, I hear, he got some job consulting with a video game company. Rumor has it there was a rush to get this book published before Mark Bowden completed his on the topic. The whole thing about filthy lucre has me disenchanted. Do not get me wrong. I truly have the utmost respect for "Owen" and the others involved in this operation, as well as the countless unnamed individuals who have played a part. It is unfortunate that the technical failings of the book, as well as the bad taste left by political sour grapes and commercial interests, keeps this book from being something truly awesome. I have the feeling that Owen did want to write this book as a record honoring his unit and nation. Unfortunately, the pressure to cash in on a timely publication date and the lack of a cooling off period makes this a somewhat slap-dash effort and not befitting the significance of the event or the author's role in it.